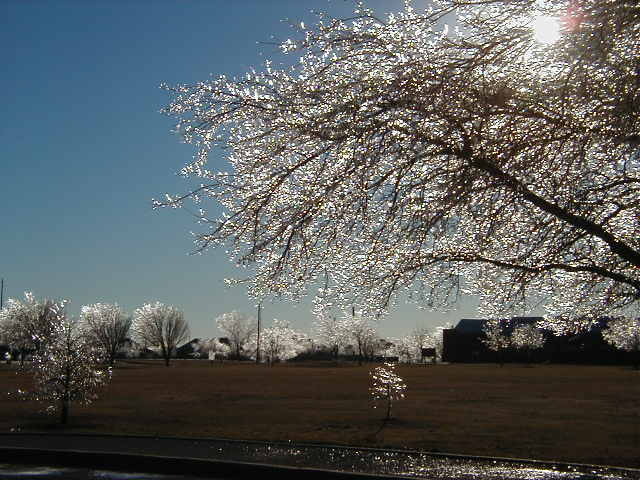 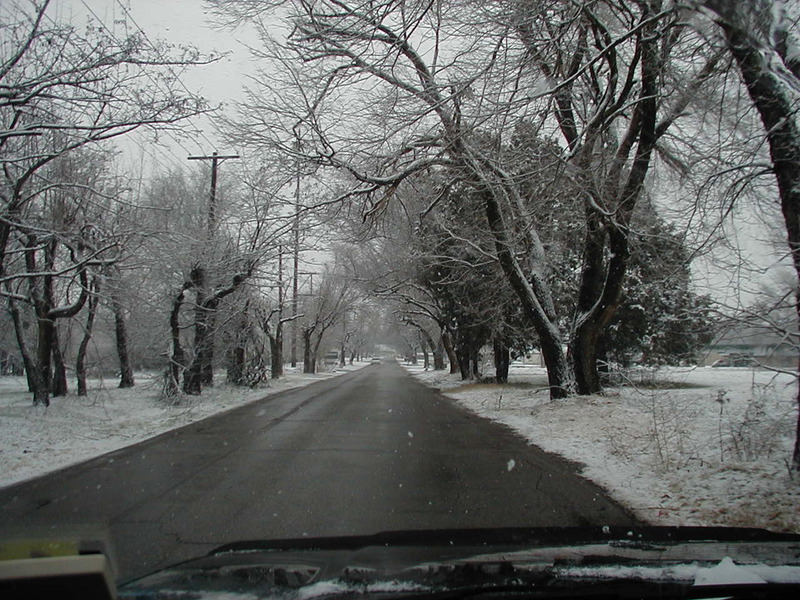 February 1, 2002 - Ice storm leaves some spectacular ice covered views, and about 250,000 without power. 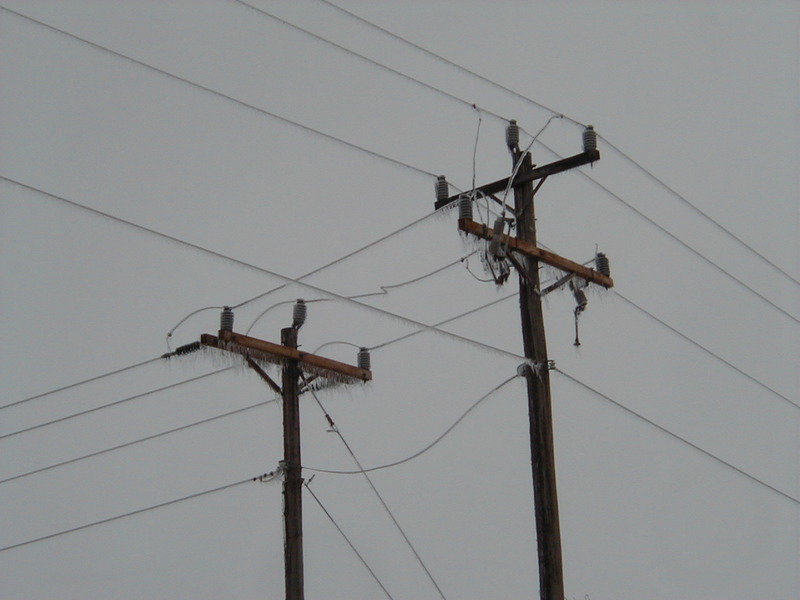 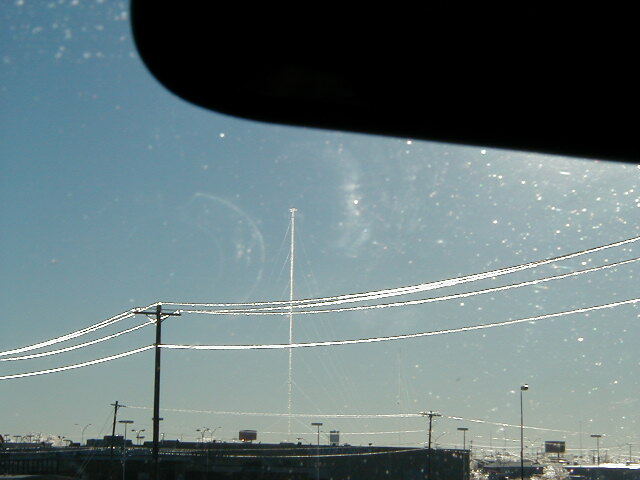 Notice the ice on the guy wires of this radio tower. 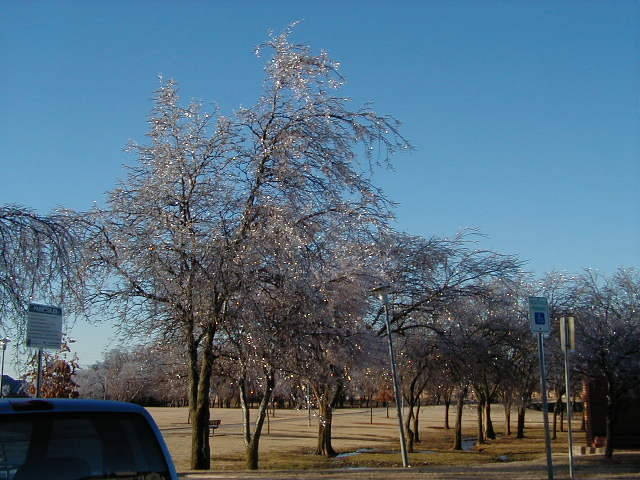 Some icing from a winter storm overnight.